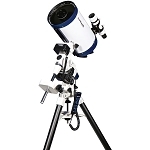 The Meade Instruments LX85 150mm f/12 Maksutov-Cassegrain GoTo EQ Telescope has a large aperture and long focal length, despite its short optical tube length, to allow you to make detailed observations of near and deep-sky objects. 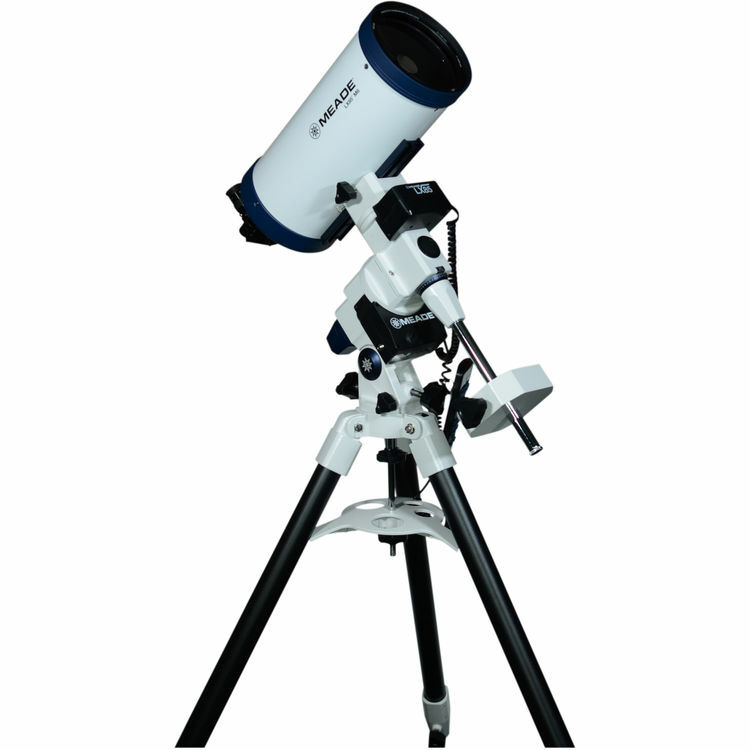 Supporting this powerful observation tool is a full GoTo computer-controlled motorized equatorial mount that is ideal for long-duration observation and astrophotography sessions. Utilizing a convex meniscus lens, a large primary mirror, and a smaller secondary mirror, the Maksutov-Cassegrain optical configuration limits obstruction and increases contrast and sharpness versus the more popular Schmidt-Cassegrain configuration. Performance is further improved with Meade's proprietary Ultra-High Transmission Coatings (UHTC) system, which improves light transmission through the light path across the entire visible spectrum. A combination of high-transmittance lens coatings and highly reflective mirror coatings boost image brightness, while minimizing external light loss and internal diffraction. 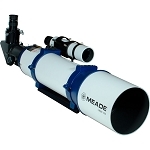 To help get new users started, Meade includes two eyepieces that produce low and high magnifications, a 90° star diagonal, and an 8x50 finderscope. 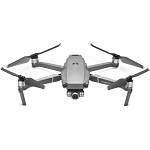 The mount delivers the performance required for clear views and images with dual-axis low-cog DC servo motors with backlash compensation. 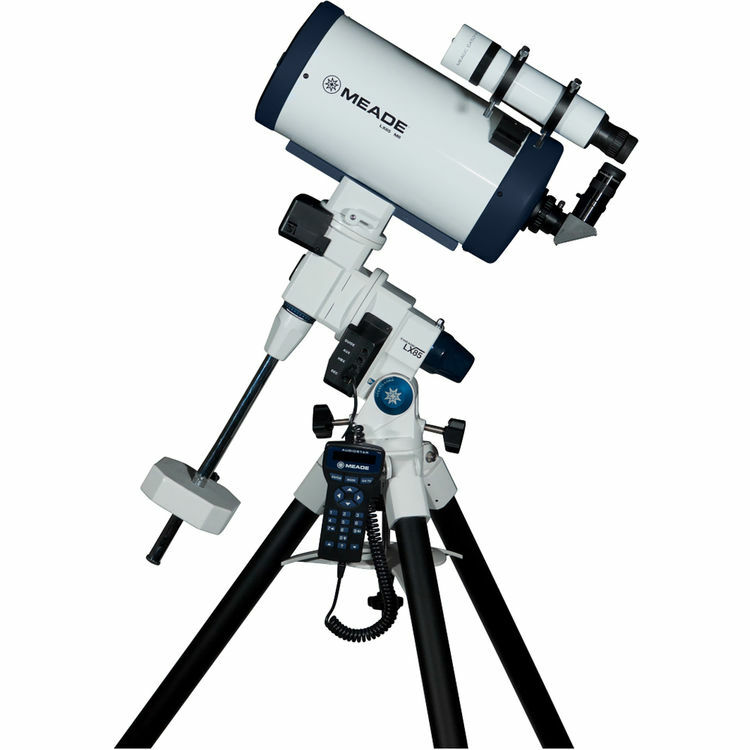 Added to this is Meade's proprietary Smart Drive system, which records and constantly refines its Permanent Periodic Error Correction (PPEC) to improve positioning and tracking precision and ensure your target object stays centered for long-exposure photography. Supporting the mount is a 1.75" stainless steel tripod that has a wide stance for stability on most terrain and a center tray that holds eyepieces and accessories and acts as a leg lock to further stabilize while helping to minimize vibrations. Controlling the mount is the next-generation iteration of the iconic AutoStar system: the AudioStar. This computer controller is equipped with a database of over 30,000 objects, including the planets, stars, nebulae, galaxies, and complete Messier catalog; it can also be programmed with up to 100 custom user-defined objects with filters to create custom object lists. An integrated speaker and Astronomer Inside system is packed with over 4 hours of commentary that is customized to objects that are visible in the night sky on any given date and time. 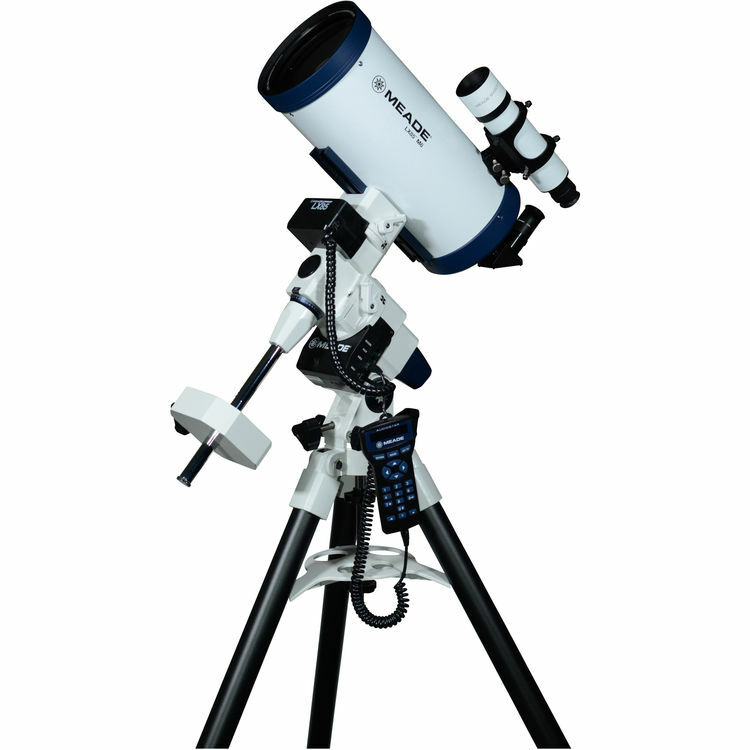 Its intuitive menu-driven user interface makes observing the heavens fast and easy, and multiple alignment options make the controller an invaluable tool to new users and experienced stargazers alike. 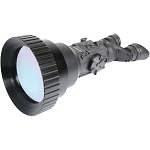 Aperture 150 mm / 6.0"
Eyepiece Barrel Diameter 2", 1.25"